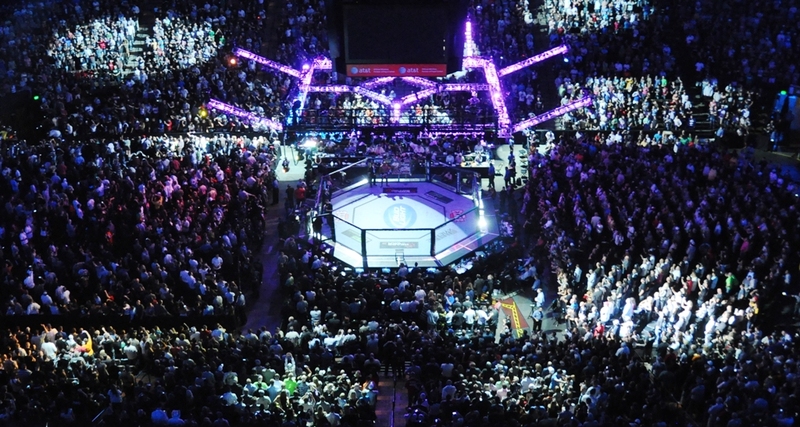 Just how much is the Resurrection Fighting Alliance a developmental organization for the UFC? Well, the promotion lost its original main event for its 41st card because Joseph Gigliotti, who only had one fight under the RFA banner, was signed by the UFC. This organization has an eye for talent, obviously. 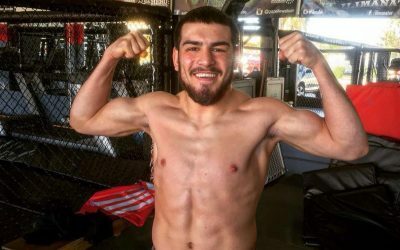 With the 22-year-old prospect out of his RFA 41 headliner with fellow up-and-comer Trevin Giles, Josh Clark steps in to complete the main event opposite Giles in a middleweight showdown. Giles, who stands undefeated through six pro fights, appeared to have a daunting task ahead of him in Gigliotti. Now, he gets a fighter with a longer resume, but one who has also fallen victim to a couple of losses during his career. The 23-year-old Giles, meanwhile, has lived up to his nickname as “The Problem” for anyone who has locked horns with him since his debut in early 2014. Giles has tasted defeated as an amateur, but he has redeemed himself with finishes in all of his pro fights. The Elite MMA Houston product has mostly fought inexperienced fighters floating around the .500 mark, but he does hold a notable TKO victory over Larry Crowe. 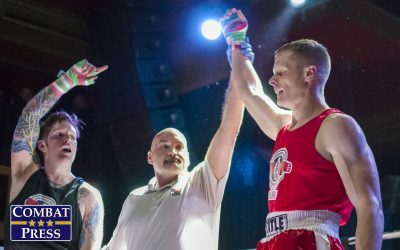 Giles has made three appearances under the Legacy banner, and he already has another fight scheduled with the Texas-based promotion in September. The San Antonio native has an even three wins apiece by knockout and submission. The 31-year-old Clark is the veteran in this affair. “The Hillbilly Heartthrob” made his pro debut in 2007 and won his first six fights. He suffered his first setback when he stepped up in competition to take on John Troyer under the Bellator banner. 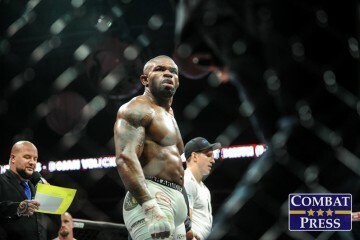 Clark rebounded from the decision loss to secure a victory in his next fight, but he took his second career loss in an XFC outing in his subsequent fight. 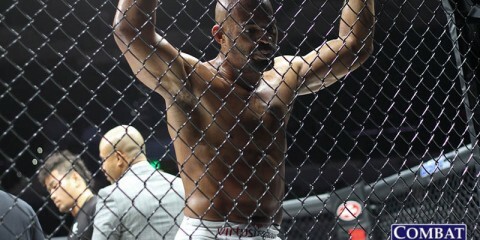 Clark again bounced back, this time with four straight wins, including a decision over veteran Marcus Finch. 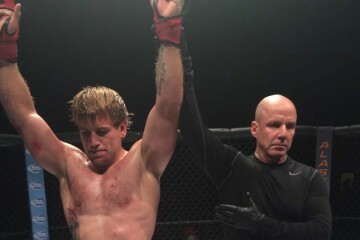 In between those four victories, The AFS Academy and Syndicate MMA export appeared on The Ultimate Fighter 19, where he defeated John Poppie via submission and lost to Corey Anderson by majority decision. 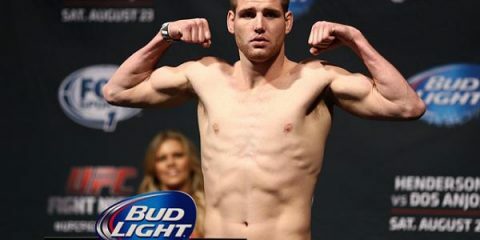 Clark, who has six striking finishes and two submission wins, proved he’s no slouch with his performance against Anderson in their TUF exhibition bout. 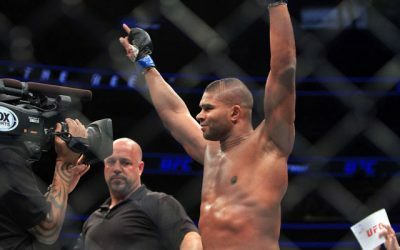 Anderson went on to win the light heavyweight TUF trophy, while Clark headed back to his more appropriate home in the middleweight division. Giles isn’t going to roll through Clark, who has only lost by decision. That’s not to say Giles will lose, though. Clark survived against the aforementioned Anderson, but Anderson has become known as a grinder more than a finisher. In Clark’s other TUF fight, the aforementioned Poppie was effective in the clinch and Clark appeared to be on his way to a loss — or, at best, a very close decision win. Then, Poppie made a mistake and ended up as the victim of a submission courtesy of Clark. Giles is more aware of his position on the ground and equally as tough in the clinch. Clark has lost to some middling competition, but Giles appears to be a legitimate prospect. This will be a tough test for the youngster, but his work in the clinch and his strong grappling game are two big weapons in this fight. We’re in for a grueling affair that’s likely to last until the final seconds tick off the clock. When the dust settles, Giles should have his hand raised by a narrow margin. Yes, there’s a World Series of Fighting card on NBC Sports Network this weekend. No, this is not it. Instead, this is a show from WSOF spinoff WSOF Global. The lineup isn’t quite as strong, but it is filled with prospects from the far corners of the globe. If it’s veteran you’re after, though, WSOF Global’s third event, set in the Philippines, has you covered. The promotion’s heavyweight champion, Evgeny Erokhin, is scheduled to defend his crown against Richard Odoms. Erokhin debuted in 2009, but he didn’t fight with regularity until 2012. 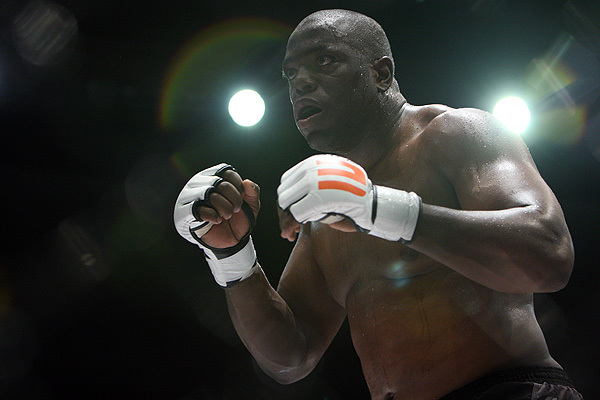 He won five of his first six fights, including bouts against Valentijn Overeem and Rameau Thierry Sokoudjou. He ran into a rough patch in mid-2013 when he suffered three straight losses, including a defeat at the hands of former Strikeforce star heavyweight Brett Rogers. The Russian righted the ship in 2014 and reeled off nine straight wins en route to his WSOF Global heavyweight title reign. 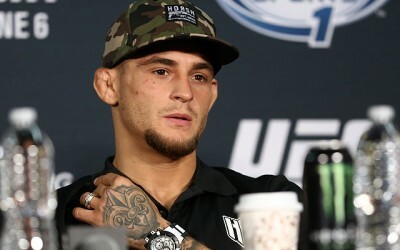 Along the way, he avenged his loss to Rogers and added wins over UFC veterans Mike Kyle, Jeff Monson and Tim Hague. A no-contest against Jeremy May is the only thing that breaks up his streak of nine wins by some form of knockout. At age 41, Odoms is certainly entering the twilight of his career. “The Black Eagle” has been fighting professionally since 2010. He has claimed victories over Darrill Schoonover, Jake Heun, D.J. Linderman and Yusuke Kawaguchi. His losses came to the likes of Jared Rosholt and Konstantin Erokhin. Odoms is based out of San Antonio and enters the fight with four knockout finishes and one submission victory. The Legacy veteran has a background in karate. This is a case of size and experience against youth and pure knockout savvy. It’s also a battle of cop versus cop — Odoms serves in San Antonio, while Erokhin is a member of the police force in Khabarovsk, Russia. Odoms cuts to the heavyweight limit from a walking-around weight of approximately 300 pounds. Erokhin, on the other hand, is more in the mold of smaller heavyweights like Fedor Emelianenko and Randy Couture (in terms of size, not talent). The Russian fighter is giving up five inches in height, and likely a similar reach differential, to Odoms. Erokhin is a disciplined striker who bides his time and waits for opportunities to present himself. He’ll be dwarfed by the much larger Odoms, but Odoms can get sloppy and often leaves himself open to counters. The 30-year-old Erokhin loves to sit down and throw a punishing punch to the body. That strike was enough to finish off Jimmy Ambriz, and it could present problems for Odom. The Russian is patient and piles on the damage, too. 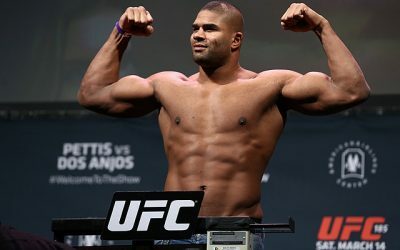 He wore down fighters like the aforementioned Overeem and Sokoudjou for rather easy finishes. Odoms is certainly capable of turning this into a sloppy fight that goes the distance, but Erokhin has looked very strong in his victories against solid veteran opponents. Erokhin should prove he’s ready for the big time with another decisive knockout finish of an established veteran opponent. There’s a heavy focus on the women’s divisions this weekend. Invicta’s latest offering, Invicta FC 18, takes place on Friday night, the UFC features Rose Namajunas and Karolina Kowalkiewicz in a strawweight co-headliner at its UFC 201 pay-per-view on Saturday and Jujeath Nagaowa will take the next step in her atomweight campaign at the World Series of Fighting Global Championship 3 event. However, that’s not all of the significant action of the weekend for the ladies of MMA. Jungle Fight 89 is contributing its own featured bout to the cause when Bianca Daimoni and Simone Duarte square off for the promotion’s vacant women’s flyweight championship. Daimoni, 29, checks in as the more well-known name in this contest. The 29-year-old “Bibi” made her pro debut in 2013 and has maintained a consistent schedule of fights throughout her career, although 2015 was a quiet year in which she only made one appearance. She won her first three fights by knockout before running into fellow undefeated up-and-comer Silvana Gómez Juárez, who submitted Daimoni with just over 10 seconds remaining in their fight. The SIAM Team MMA College product responded with another knockout win and then tacked on a body-kick TKO of veteran Priscila de Souza. Daimoni finally saw the scorecards in her most recent affair against debuting pro Dayane Souza. Overall, Daimoni has five wins by some form of knockout. Duarte also debuted in 2013, but she only fought once that year and didn’t return to action until 2016. She’s been on fire this year, however, with submission finishes of Camilla Guimarães and the previously undefeated Samara Santos. Those victories came in the strawweight division, but Duarte’s 2013 pro debut took place at 125 pounds under the Shooto Brazil banner. In her debut outing, the 32-year-old Boxe Mania fighter stopped Arielle Souza via strikes. The Brazilian’s experience doesn’t end there, though. She has been boxing professionally since 2005 and has a 14-9 record. In boxing, she has fought for numerous titles, but she has always come up short in those bouts. Daimoni’s the more accomplished fighter in some regards, but Duarte has been fighting for Shooto Brazil and Jungle Fight for her entire, albeit brief, career. Daimoni has delivered a more mixed showing when stepping up into the spotlight. 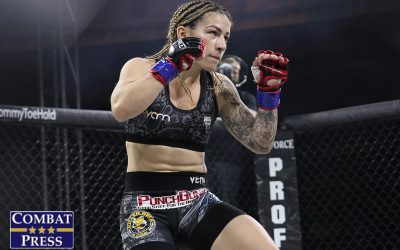 She suffered her loss to Juárez under the high-profile XFC International banner, but she toppled de Souza in a bantamweight title affair with Americas FC. Daimoni is also stepping down a weight class, whereas Duarte is moving up in weight. 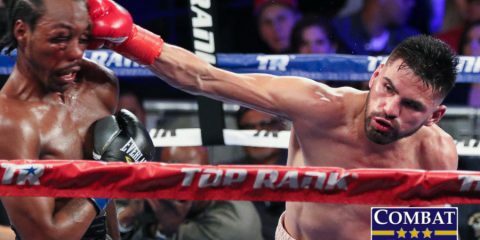 Duarte is a hidden gem for the flyweight division. She’s a solid striker with some finishing power on the feet, but she’s also an all-around threat with strong takedown defense and the ability to turn an opponent’s’ takedown attempts into a finish in her favor. When Santos shot in for a takedown, Duarte answered with a submission that was just as much a neck crank as it was a rear-naked choke. And when Guimarães repeatedly attempted to bring the fight to the mat, Duarte punished her with ground-and-pound and put her away with an armbar. Daimoni’s sloppier stand-up and weak ground game will not help her against Duarte. Daimoni’s only route to victory is to stick to her counters and hope Duarte leaves an opening. Duarte’s game looks really polished for the regional level. She has the boxing to outclass Daimoni on the feet and the grappling and ground-and-pound skill set to make Daimoni’s night a living hell on the mat. Duarte might even look for takedown to expose the weakest part of her opponent’s game. Regardless, Duarte should find the finish in this affair and open some eyes as a prospect on the rise in the rather thin flyweight division.